The National Association of Karate and Martial Art Schools (NAKMAS) has created the prestigious NAKMAS Star Award; an award of recognition for outstanding talent and abilities within its membership, both adults and children. 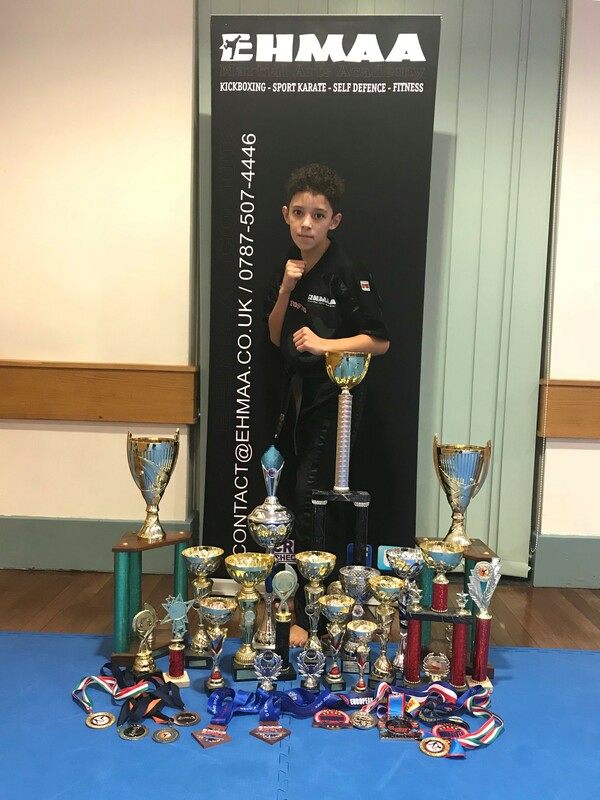 Leo Manifold, a 12-year-old from Rugeley, Staffordshire, has received the first of the awards for his outstanding competitive talents in kickboxing tournaments over a period of years. Leo has been training with Emil Herzberg at the Pye Green Community Centre in Hednesford from a very young age, and he hopes his next success will be achieving his black belt early in 2019. He is a student at the Heartlands School in Rugeley and his martial arts training has given him confidence and focus for all areas of his life including his studying. Herzberg said: ‘I’m so pleased for Leo receiving this new award; it’s a big accolade for both Leo, and for the academy. We strive to achieve high standards for our sixty members of all ages, and Leo is one of our longest serving. He is a great role model to our other members as he is a fine and genuine martial artist’. Members of all ages and all martial arts will be considered for nomination of the NAKMAS Star Award for areas within martial arts including coaching, innovation, dedication, competitive talents, and charity work etc. Each nomination will be judged with principles of fairness and equanimity enabling the awards to be spread out over a wide range of activities for a wide range of recipients. NAKMAS National Chair, Joe Ellis, said: ‘NAKMAS has seen individuals throughout its 26 years, showing real talent and abilities. We decided to create this award to highlight individuals that NAKMAS feels should be recognised nationally, and with our full support. We have been hearing about Leo’s talents for some time and have pleasure in making him our first recipient’. The award will include a specially designed gold foiled Star Award certificate, highlighting the recipient on the new Star Award website (https://staraward.nakmas.org.uk) and a personal letter and press release from the NAKMAS Chair, which can be used locally. NAKMAS will also allocate some funding to promote the recipients and their clubs via social media.